The Russian Orthodox Church has its own higher educational institutions that train candidates for the clergy. In the Christian tradition such educational centers are referred to as seminaries. Currently in Russia there are several dozen such schools. 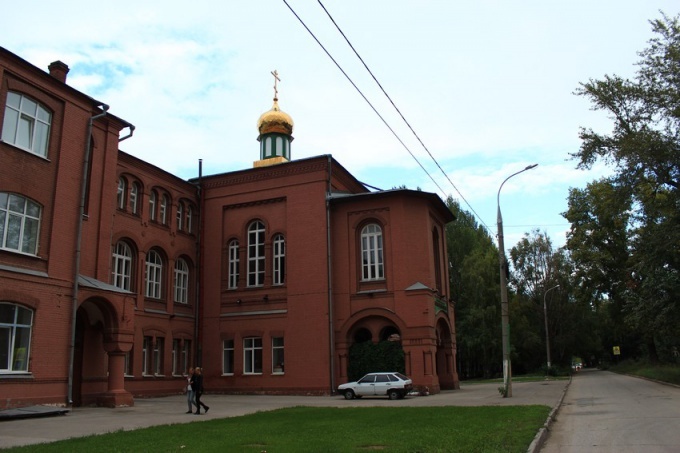 Orthodox theological Seminaries are higher education institutions of the Christian Church. The educational process can last four years (bachelor's degree) plus two years (the judiciary). In the seminaries the basis of the educational process is the study of the traditions of the Orthodox faith and the basic tenets of the Christian (dogmatic and moral). We can say that the Seminary teach the Christian life. But we cannot think that in these schools nothing but Bible students do not read. In each Seminary there are several departments. They include the Department of theology (theology), Church-historical, linguistic (e.g., classic and foreign linguistics), liturgical, Church practices, history and some others (depending on the specific institution). The main subjects are considered as the Scriptures of the New and the old Testament, dogmatic theology, liturgics, Patrology, Church history. In addition to the purely Christian disciplines students study a variety of secular Sciences. So, the teaching of ancient languages (Latin, Greek and Hebrew) may be paid special attention. Students try to understand the different types of stories, not only religious but also secular (national history, world history, etc.). Seminaries, dominated by the Humanities. Students study the philosophy of both religious and secular, study of different branches of psychology. Special courses can be read on the fundamentals of working with prisoners and specifics of teaching theology. In some seminaries there is a higher mathematics, and also such subjects as science and religion, and even physical education. A special place in the educational process is the study of non-Orthodox creeds of the churches (Catholic and Protestant) and sect studies. The ability to open a discussion, read lectures on rhetoric and oratory, and on homiletic students are taught how to prepare a sermon. It turns out that the person who received the diploma of the Seminary, is not only a specialist in the field of theology, but also can understand the basic Humanities.